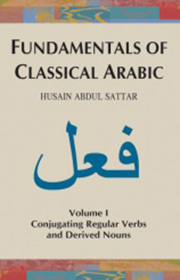 This first volume provides a framework for studying the Arabic language, introduces Arabic word patterns, and covers the essentials of conjugating common verb and noun forms. Throughout the book, important concepts are explained in a lucid and concise manner. Tables provide a review of the concepts covered in each lesson, and the accompanying Audio CD helps students memorize conjugations of common verb and noun patterns.